Test Tubes (but not the kind your thinking)! 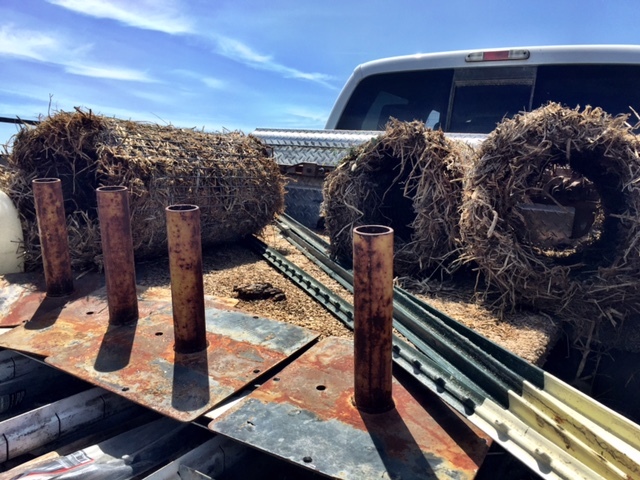 Delta Waterfowl has had a ton of success with their mallard nesting structures, they call nest tubes! I’ve been reading about them for a few years now and watching You Tube Videos about them too! This one is my favorite, Duck Tubes and How to Build Them. I love how the guy pronounces Mallard! hehehe. Anyhow, they seem to be a pretty great concept and some decent research has been published about them, that is, until you start looking at them here in California. I am not certain as to why the info highway on nest tubes falls short in California, but it does. 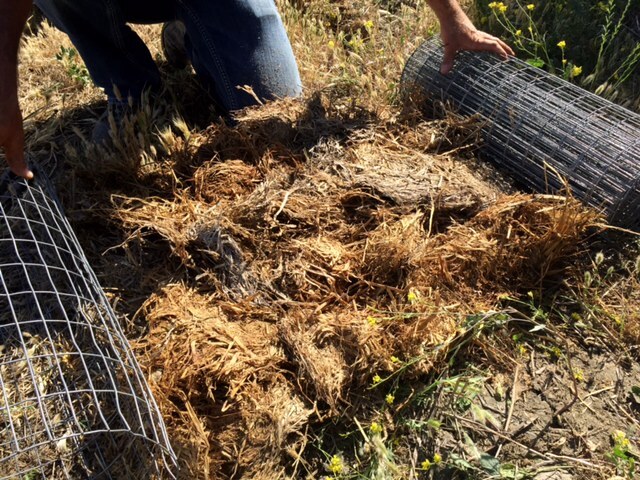 So if you are reading this and have some solid information about nest tube projects that exist here in California, please let me know. But for now, this lack of good info has led me to try to figure out why. Of the few projects that I could find and their short falls on being successful (utilized by nesting hens), I started to connect the dots about how and where these tube projects were set up and how I could go about testing these tubes in different situations and environments. blah, blah, blah, I am not an academic scholar by a long shot and this text book research stuff can get pretty boring, but I am all about hands on applied science. So bottom line is, if I want to really set up some kind of quality research project, I better start with the basics and first things first, I need some nest tubes. I absolutely love that you can pretty much Google anything now a days and find a tutorial. Its actually BADASS really! I tell my kids this all the time. They have no clue how easy they have it compared to when I was kid trying to figure things out at the county library! 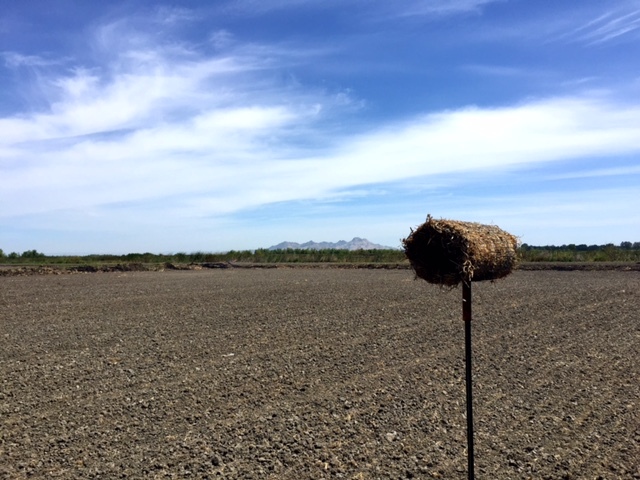 Needless to say, I Googled this nest tube building thing and began gathering my supplies. Now I am not sure that I have yet blogged to you all about our neighbor, Ron, but here is a good time to introduce my readers to Ron, aka Ronaldo the Magnificent! He is just about the coolest neighbor to have, once you get past his tough guy exterior. Ron is the ultimate handy guy and he is one hell of a welder. So if you want something built, fixed, or reworked in any way, you simply cross the street and ask Ron! Anyhow, Ron welded up some 6 x 6 metal plates with a 4 in pipe that would be the base of my nest tube structures. You can see them in the photo below and these made the installation job soooo much easier, but they are not completely necessary if you get a wild idea about building some tubes yourself! Visit Delta Waterfowl’s Site for More Info! 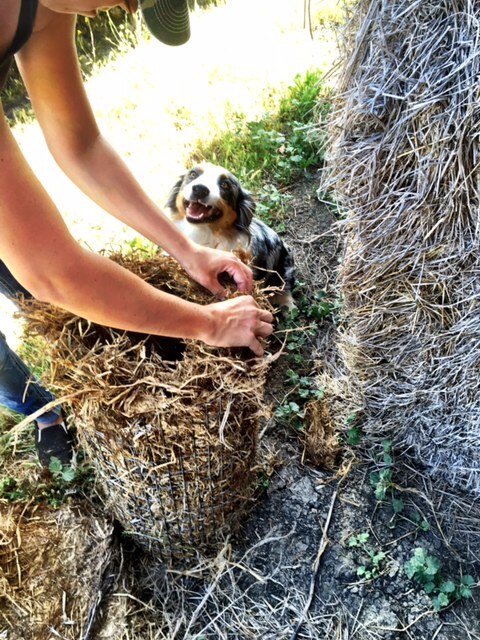 Lou and I headed to Colusa to grab an old rice straw bale from the stack at the wetland. Looking back, I should have used a different type of straw in each tube that I built just for comparison, but if this pans out, we will have a use for all that rice straw we have! Casey was down at the ranch that day, so he was more than willing to help me with my little project (hahaha). 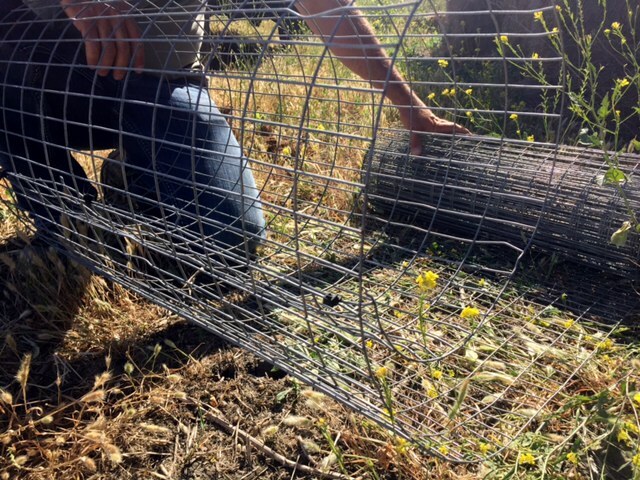 We started by rolling out the wire I bought, into a 10-12″ diameter tube and securing it with zip ties. I then started the straw stuffing job, by laying the straw on the remaining wire then rolling the tube over it and securing it with zip ties again. 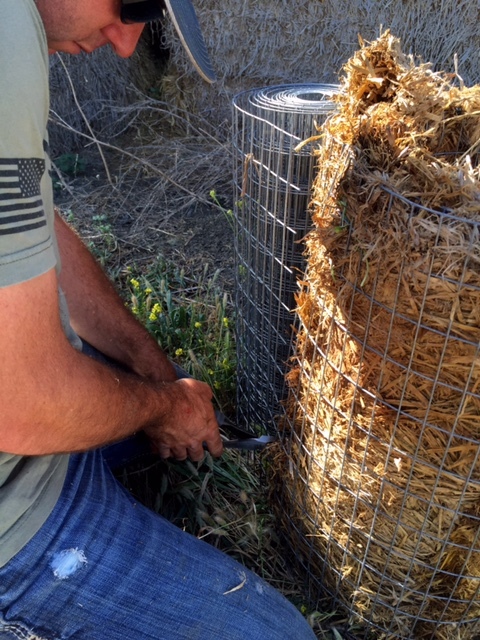 Once it was secure, we clipped the wire from the roll and then added more straw by stuffing it in at each end. Pretty simple. I did run out of wire though. Thought I would have enough for four tubes, but ended up with three. Regardless, Lou was pretty excited about the tubes;) but now we had to put them out. My little experiment is pretty basic. I am wanting to see if these tubes will be utilized by nesting hens if placed in the middle of a flooded rice field, far from the reach of predators. Skunks to be exact! It’s a long shot and obviously my sample size is not the greatest, but I am pretty sure if one of these tubes gets any kind of activity in the next few weeks, I may pee my pants with excitement! The fields should have water and rice seed should be flown on before the end of the weekend, so my timing on getting the tubes set on poles in the field was pretty darn good. It would not be too fun to do that part in knee deep rice water. I set each one at a different height because I am not too sure about that component. And I am pretty sure the guy in the spay rig will be cussing the weird bird girl when he goes to spray the fields, and has to try to raise and lower the boom around my nest tubes, but I am pretty lucky to work with a farm crew that kinda likes me, so it shouldn’t be too bad. However the height of a spray boom is something to consider if this project ever turns into 100 plus tubes all over the farm! Until then, I will keep you all posted if we notice any activity in our test tubes!! Fingers and toes are crossed!